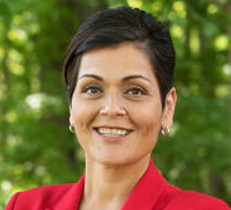 As a member of Prince William County community for over 35 years, Hala Ayala is running to give a new, needed voice for the 51st House District of Virginia. Hala helped organize Virginia for the Women’s March on Washington in January. She helped organize buses to transport people to DC and raised money to help with the expenses for those who may not otherwise be able to participate. As former president of the Prince William County chapter of NOW, she fought for equal pay for equal work so that women get paid equally for the same work. Hala also currently serves on Gov. Terry McAuliffe’s Council on Women. Only 17 of Virginia’s 100 state delegates are women. Hala believes that that number should be higher to make sure that all voices are heard, in order to create a better future for all Virginians. She formerly worked for the U.S. Department of Homeland Security as a cybersecurity specialist. Ayala also formerly led the Prince William County chapter of the National Organization for Women, serving as chapter president in 2014. She also served on the Virginia Council on Women as an appointee of Governor Terry McAuliffe for a term expiring on June 30, 2016. Ayala cites the documentary Miss Representation as inspiration for her to become involved in politics, and was a volunteer for Barack Obama’s reelection campaign in 2012. In 2017, Ayala was an organizer of the Women’s March against Donald Trump. Ayala ran for the Virginia House of Delegates in the 2017 elections for the 51st district, which covers much of Prince William County. The district specifically stretches “from just northwest of Occoquan, in eastern Prince William, to Nokesville on the county’s western border.” District 51 was a key pickup target for Virginia Democrats because it was one of 17 House of Delegates districts that voted for Hillary Clinton in the preceding year’s presidential election, but was held by a Republican state house delegate. In June 2017, Ayala won the Democratic nomination for the 51st district of the Virginia House of Delegates, defeating Ken Boddye in the primary election. In the general election, Ayala defeated four-term Republican incumbent Richard L. Anderson. Ayala, Kelly Fowler and Elizabeth Guzman became the first Hispanic women elected to the House. The victories were part of a Democratic sweep in the 2017 Virginia elections, which saw major gains for the party. Hala believes that all Virginians deserve access to affordable, quality healthcare. When Hala’s son was born, he was born with complications that required urgent medical attention. Her job, at the time, offered no health insurance. Thankfully, she qualified for Medicaid and her son was able to get the help he needed. Hala wants that affordable access to healthcare for all Virginians. Hala believes that schools are the building blocks to success for Virginia’s future. Hala believes that Prince William County workers should get home sooner rather than later to their families. Hala marched for our rights in Washington and will stand up for our rights in Richmond. If you have any questions for Hala Ayala, send them to Virginia onAir at virginia@onair.cc. Virginia will first see if Hala Ayala has answered your question somewhere else. If they haven't, Virginia will pass on your question to Hala Ayala and post their answer, if they have one. If you have any suggestions for Hala Ayala, especially if you are a current or former constituent, send them to Virginia onAir at virginia@onair.cc. Virginia will record your suggestions here. If you have something positive to say about Hala Ayala and you are a Virginia onAir Hub member, send your recommendations to Virginia onAir at virginia@onair.cc. My name is Virginia onAir. I am the lead curator for this Hala Ayala post.